I had heard negative things about this movie, so maybe it was the incredible low expectations I had when I watched that caused me to enjoy it so thoroughly. I thought it was fantastic. Lauren and I both loved it. Yes, there was several bits of dialogue that had us rolling our eyes — the most annoying of which was Wolverine’s little pep talk to the younger members of the X-Men just before they go into the final battle. The whole scene should have landed on the cutting room floor with the twenty other scenes that got axed, but for some reason it survived. The president of the united states (played as lively as an oatmeal brand spokesman by Josef Sommer) had the majority of the trite one liners. Poor casting choice plus cliched one liners equals stupid president. What I liked about this version, however, in addition to all the incredible special effects, was that the filmmakers weren’t afraid to kill off some chief players. I won’t mention who kicks the bucket — some of you might not have seen it yet. 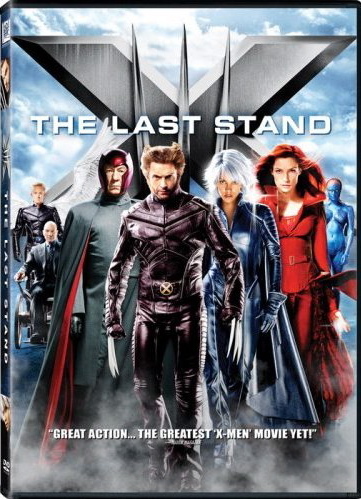 But it was a ballsy move, even if the filmmakers did plan on this being the last of the X-Men movies. Considering the ton of money this thing brought in at the box office, however, I’ll be surprised if we don’t see more X-Men uniforms in the future. We do know that we’ll see Wolverine again. Hugh Jackman is reprising that role in a film about that character alone. It should be great, particularly if the filmmakers stay true to the Weapon X story line and show us who it was that made Wolverine the killing machine he is. Incidentally, Hugh Jackman as Wolverine is an example of casting done right. I forgive him for the few weak lines of dialogue he had in the film. He pulled them off as best as anyone could. It’s the writers who should be ashamed of themselves. But more than give good line readings, Jackman brings a human side to Wolverine that most other actors could not have pulled off. I mean, Jackman can act. Too many tough-guys actors can ONLY do the tough-guy thing. But Jackman can play the full range, which is perfect for Wolverine, a terribly tormented, complex individual. Halle Berry, on the other hand, was as interesting as cold toast. I think I was annoyed by her performance because Berry made a big stink with the studio before production began and would only agree to a third film if her role was increased significantly. The studio acquiesced to her whining, and Berry had more scenes and lines then her character or acting deserved. What’s worse, her pouting, may have been the reason why OTHER characters, who will go unnamed, were killed off and given less screen time. Ah, Halle, when it comes to the X-Men, believe me, sweetheart, when I say it isn’t about you. Worth the rental. If you’re a comic fan like me, buy it. B.